While the majority of the viewing public was aghast over Master ‘Zebb’s (Vettel) “You’re Breaking Up” radio antics; the most celebrated Minardi F1 Team Alumni was making a farce out of his 200th Grand Prix start, when “Fredrico Suave,” aka Fred Alonso badly misjudged the damage to his Ferrari’s front wingplate and went skating off into the Kitty-litter el Pronto! Now its time for Take Two! 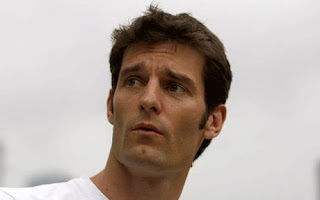 As arguably the lil Minnowesqe Italian squad’s second most successful Gran Primo Piloto Mark Webber is celebrating his 200th Grand Prix start this weekend in Bahrain. Other notable Minardi Alumni include the likes of Pierluigi Martini, who singlehandedly scored nearly 50% of the team’s coveted Constructors points, wracking up 16 of the 38 total tally. And the rest as they say is history, as Alonso went on to become Double World Champion (2005-06) with Renault; had an acrimonious one year term with McLaren before scurrying back to the faltering ‘Reggie before ultimately being lured away to la Scuderia, nee Ferrari. As Alex would dominate the Championship Auto Racing Teams landscape from 1996-98, wracking up 15-victories en route to winning two championship titles back-to-back (1997-98) before unwisely returning to Formula 1 with Williams who’d just lost their Works Renault V-10 supply. Michele Alboreto notched up all five of his Grand Prix victories before coming to Minardi at the twilight of his F1 career before retiring - then unfortunately lost his life testing an Audi Sports Car at the Lausitzring, which also proved diabolical for Zanardi. Yet I’m guessing that Michele is the only Minardi alum to have won the 24 Heurs du Mans, eh?